FREE SHIPPING IN THE US Welcome to our family! Purchase this welcome box to start your literary vacation today. 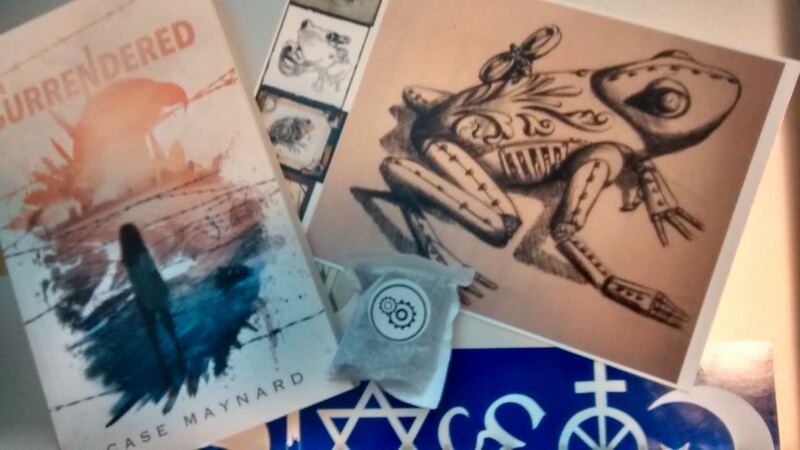 Includes a paperback copy of "The Surrendered" by Case Maynard, a beautiful Steampunk frog art print designed by us, and a Steampunk inspired scent pack by "Adventurescents". Guaranteed to take you out of your mind, and onto a literary vacation!